Coleen Shirin MacPherson is aToronto-based theatre artist and poet. She is currently writing a new play The Selfsame Hour and developing The Pasolini Project with TheatreRUN (Canstage’s Festival of Ideas andCreation 2010, Canstage’s Spotlight Italy Festival 2011). This project is an original English translation of Pier Paolo Pasolini’s play Pylades,which will soon appear in an Italian journal on 20th century theatre. She also founded The Pocketology Collective with Chicago-based visual artist Rachel Ellison, touring pocket story installations across the GTA (Art on the Danforth 2012) and performed in Luminato’s New Waves Festival with The Raven (Why Not Theatre). Recent credits: Anais Nin in the China tour of Artaud: Un Portrait en Décomposition (TheatreRUN, International Contemporary Theatre Festival Shangai), created a performance piece for NuitBlanche Toronto via skype from Paris, France entitled si vous étiez làoû seriez vous? (Theatre Local). Coleen has worked with TheatreRUN, Theatre Smith-Gilmour, Why Not Theatre, MT Space, Fixt Point, Jumblies Theatre, Expect Theatre Company, The Children’s Peace Theatre and theatrekairos. She recently directed The Editor at the Toronto Fringe 2011 and was acting in The Farm, a film directed by BAAFTA award-winning director, Simon Shore. 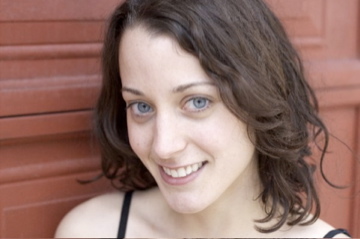 Coleen holds a BA from The University of Toronto, studied Theatreand Development at Concordia University and Acting at Ecole Jacques Lecoq inParis. She is currently working with Necessary Angel Theatre Company on Divisadero and will later join Daniel Brooks on Untitled in the Spring. Upcoming: Queen Anne in Three Muskateers Plumbing with Satellite Theatre.